Welcome back to Marilyn's Reviews! By the time you read this you will have celebrated Father's Day, Junteenth (known as Emancipation Day in honor of the emancipation of the slaves in Texas on June 19, 1865), June National Dairy Month, Fourth of July, National Baked Bean, Hot Dog, Ice Cream and Blueberries Months and probably started your shopping for back-to-school clothing and supplies, Whew!! We're up and running, and ready to plunge full throttle into some great Autumn reading. We have a very diverse selection of books to share with you in this edition, beginning with the "Diabetes Problem Solver," by Nancy Touchette, PhD., published by the American Diabetes Association. The "Diabetes Problem Solver" is also an excellent reference for all of the psychological conditions that can follow physical complications of diabetes. I have referred to this terrific guide on several occasions this summer, and found answers to every one of my questions in clear, concise, easy-to-read language. Flowcharts are included, to help you determine if your symptoms require immediate medical attention. The "Diabetes Problem Solver" is also an excellent reference for all the for the psychological conditions that can follow physical complications of diabetes. Adjusting to diabetes, dealing with stress, depression, anxiety, alcohol abuse and eating disorders, discrimination in the workplace, schools, day care and the military, managing your daily routine, traveling with diabetes, coping factors for children, and sexual dysfunction are all discussed, along with an excellent chapter on helping to solve kids' problems. The "Diabetes Problem Solver" is hands-down one of the best reference books I have seen in print. Highly recommended. The "Diabetes Problem Solver," $19.95, ISBN 1-58040-009-4, available through the American Diabetes Association: 1-800-232-6733, through book stores nationwide, or order via Amazon.com for only $17.95. Last year, we at "Cinnamon Hearts" appealed to 150 food editors across the nation to remember the diabetic in their holiday recipe sections. There are significant numbers of diabetics among groups such as Jewish Americans, Mexican Americans and Latinos, African Americans, Native Americans, Alaskan Natives, Asian Americans and Pacific Islanders. September is an especially meaningful month for the Jewish population, since it signals the beginning of the Jewish New Year or Rosh Hashana, and ends with the holiest of days in the Jewish year, Yom Kippur, or the Day of Atonement. These Jewish celebrations will occur before we meet again in October, so I'm pleased to let you know that the Jewish diabetic with a Kosher palate can feel confident in consuming very healthy and delicious recipes from "MealLeaniYumm! All That's Missing Is The Fat," by cookbook author Norene Gilletz, one of Canada's national treasures. Norene Gilletz is the leading author of Kosher-style cookbooks in Canada and "MealLeaniYumm!" shows you why. With over 800 recipes for all Jewish holidays as well as the rest of the year, holiday table and menu suggestions, shopping hints and pantry suggestions, culinary and dietary tips and facts, the book is very comprehensive. Each recipe has a complete nutritional analysis, including carbohydrate counts, and diabetics can feel confident in using them. Although the Dietary Exchanges are not included, Norene has worked hard to keep the carbohydrate counts low without sacrificing flavor. Norene is also a cookbook author who knows the value of adding anecdotal information regarding the recipe's history and the availability of ingredients, which are printed just under the recipe title. She also offers variations, substitutions, and freezing guidelines to the recipes whenever and wherever possible. "MealLeaniYumm! All That's Missing Is The Fat," by Norene Gilletz, $33.95, 1998, ISBN 0-9697972-2-2, provides wonderful fodder for ALL ethnic tastes. It can be found online at barnesandnoble.com and amazon.com. You can also order directly toll-free at 1-888-811-9866 or order via Amazon.com for only $23.77. Another highly recommended cookbook! It's been scientifically proven that people who actively manage their diabetes and keep their blood glucose levels under control through proper diet, exercise and medication are far less likely to suffer from complications. "My Doctor Says I Have A Little Diabetes" is a great guide for those of you who have type 2, non-insulin dependent diabetes. Authors Martha Hope McCool, an RN and certified diabetes educator, and Sandra Woodruff, a registered dietitian and well known cookbook author, guide the recently diagnosed through the basics of diabetes and diabetes care. Written in plain and easy-to-understand language, accompanied by excellent charts and illustrations, I can't think of anything not covered in this book. There are chapters on diabetes medications, choosing the right eating plan, dealing with high and low glucose levels, preventing complications, sickness, travel and more. The new perspective on using a little refined sugar in recipes is also given a fair and objective evaluation. For those of you who don't know anything about the Glycemic Index (a method of ranking carbohydrate-containing foods according to their potential to raise blood sugar levels), the authors bring a simple-to-understand perspective. 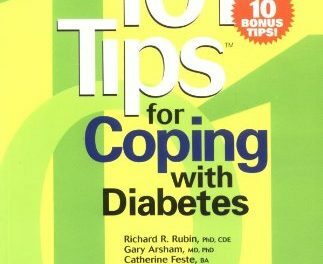 This book is very affordable as well as informative; highly recommended for ALL type 2 diabetics. "My Doctor Says I Have A Little Diabetes," by Martha Hope McCool, RN, CDE, and Sandra Woodruff, RD; (c)1999; Avery Publishing Group; softcover; 138 pages; $9.95. To order, call toll-free: 1-800-548-5757 or order via Amazon.com. Before my diagnosis of type 2 diabetes, my biggest passion was cooking. Most of the diabetic cookbooks available at that time presented dull and tasteless recipes. You can imagine my elation when the ADA revised the nutritional guidelines for diabetics in 1994, following the 10-year DCCT (Diabetes Control and Complications Trial) results. These guidelines for nutrition management now allow sugar as part of a healthful eating plan, and this new change is explained in the Introduction of the next book. "The New Family Cookbook for People With Diabetes," prepared jointly by the American Diabetes Association and The American Dietetic Association, offers more than 375 recipes for easy-to-prepare delicious meals that the whole family can enjoy. The recipes use lower-fat ingredients wherever possible, unsaturated fats whenever possible, and most recipes use sugar instead of sugar substitutes. They provide a choice of fresh or dried herbs, and each has a nutrient analysis including the portion size, dietary exchanges, and sodium content in bold type whenever the serving size has more than 400mg of sodium per serving. Being passionate about cooking, I enjoy the description of each recipe, found just under the title. For example, you can really get a "mouth-feel" for "Chicken In Mole Sauce" with this description: "Mole is a deep, dark sauce that's a Mexican specialty. Its unique flavor and reddish brown color results from blending onions, garlic, and chilies with--surprise--a small amount of cocoa powder or chocolate, which adds richness without sweetness." In addition to the mouth-watering recipes, there are good hints and tips at the beginning of each food section, and an extensive Exchange Lists for Meal Planning Appendix. This is another winner; highly recommended. "The New Family Cookbook for People With Diabetes," by the American Diabetes Association and the American Dietetic Association, published by Simon & Schuster, 1999, ISBN: 0-684-82660-7, available in bookstores for $30 or order via Amazon.com for only $24. It had to happen soon or later, and I just wish I had thought of doing it! 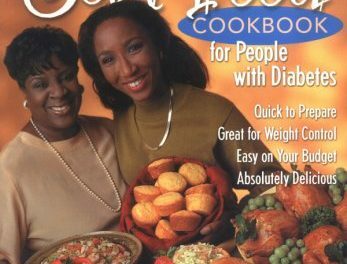 "The Diabetic Four Ingredient Cookbook," by Linda Coffee and Emily Cale, has made its debut. If you're interested in quick and inexpensive recipes, this book is your answer. I haven't had a chance to try any of the recipes yet, but when you've read as many cookbooks as I have, you can just about scan a recipe's ingredient list and almost be able to taste it! Each recipe has a complete nutritional analysis with dietary exchanges. If you're looking for simple recipes requiring less time, less ingredients and less hassle, and will still meet your diabetic menu guidelines, give this book a try. Over 200 delicious dishes requiring four ingredients or less. Published by Coffee and Cale, 1999, ISBN 0-9628550-4-9, $9.95. You can order by calling their toll-free number: 1-800-757-0838 (Visa and Mastercard are accepted) or order online via Amazon.com. Longing for some home cooking just like Mom's? You'll find more than 250 fast, low-fat recipes with old-fashioned good taste in "The Complete Quick & Hearty Diabetic Cookbook." From breakfast to dinner, appetizers to desserts, it's all here. Uncomplicated recipes with easy-to-find ingredients, combined with descriptive culinary comment. Some recipes also have "serve-with" suggestions. I like the fact that the serving size is also included, i.e., "1 cup, 3 oz., or 1 pork chop with sauce." Each recipe has dietary exchanges as well as nutritional analysis. 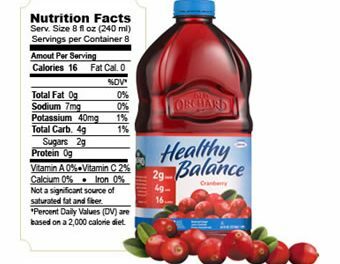 Dietary fiber and sugar content are also included (something you don't find on many nutritionally analyzed recipes). Published by the American Diabetes Association, 1998, 272 pages (soft cover), $12.95 (ADA member price $10.95. You can order toll-free, 1-800-232-6733; ask for #4624-01) or order online via Amazon.com for only $11.65. I hope this list of great "reads" will give you much food for thought until we meet again in November for the holiday countdown. In the meantime, stay healthy and positive and try to make each day count! Lettuce and Nutrition – Are Some Varieties Better Than Others?